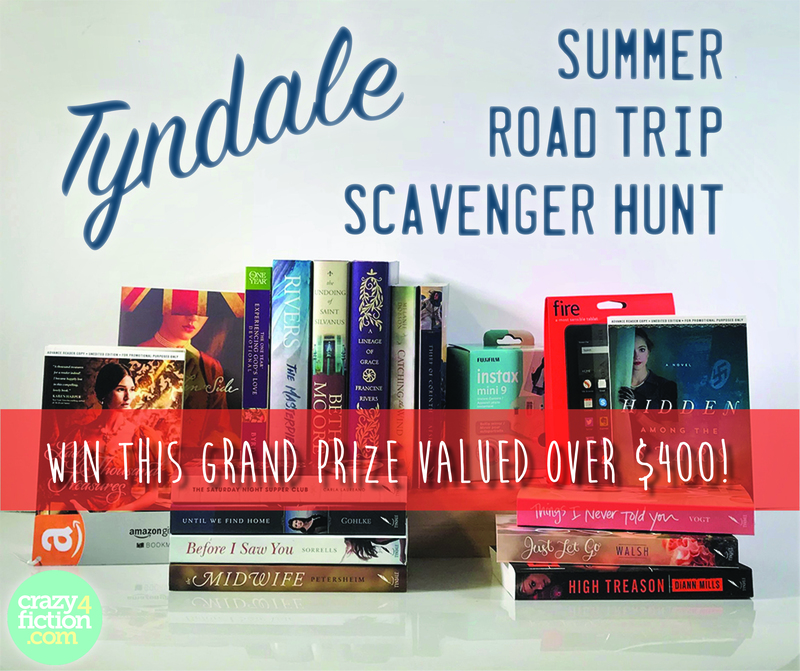 Welcome to Tyndale Fiction’s Road Trip Scavenger Hunt! We’re so happy you are here. To participate, collect the key words through all 13 stops in order, so you can enter to win our grand prize giveaway! The adventure begins on Wednesday, August 1. You’ll have two weeks to make your way through all the stops (giveaways will close on Tuesday, August 14). While you do not have to start at Stop #1, keep in mind that the grand prize giveaway phrase will begin with the word you collect at that first stop. To complete your submission for the grand prize giveaway, be sure to collect the key word within each author’s blog post, submitting the final, completed phrase in the form hosted on this page. Also, be sure to enter the giveaways these authors are hosting on their blogs! Enjoy the journey—we hope you’ll discover new books along the way as you hear from Tyndale Fiction authors about road trips, the settings of their novels, and more! I am very excited to welcome beloved Bible teacher and bestselling debut fiction author Beth Moore to the blog! Talk about a locale with atmosphere and intrigue! When I was fifteen, my little brother and I, the only two kids left at home, took a grueling two-day road trip with our parents to our cousins’ house in Florida. Houston reaches out to Florida with the long, skinny arm of Interstate 10, the only decent bicep of the route being New Orleans. I have no idea what got into my father’s head, but he decided to trot the four of us right down Bourbon Street. We’d only recently moved to Houston from a small town in Arkansas, so we hadn’t even acclimated to crowds yet. I’m pretty sure he had no idea what he was going to walk his family into. I would have told you I wasn’t naïve. I was no innocent adolescent. Our family had dangled on the precipice of hell for several years. But I had never walked by a strip bar in my life. Not sure I’d ever even driven past one. The pictures posted at the front doors were so explicit and disturbing that I couldn’t shake them out of my head for years. Dodging drunks, we finally made our way to Jackson Square, past painters and sidewalk entertainers and palm readers. It was the wildest thing I’d ever seen. Fast-forward many years, and my husband, Keith, and I would start going back to that city for anniversaries and bask in the deep-fried goodness of New Orleans’s brighter side. Still plenty spicy. Just not as seedy. Fast-forward a few more years, and I was asked to teach the women of Franklin Avenue Baptist Church at their annual conference. I guess it was as close as I’ve ever come to love at first sight. That whole congregation accepted this white girl like I was one of them. We are blood kin in Jesus. To be loved and embraced by them is still one of the greatest honors and joys of my ministry life. My Bible study Breaking Free was taped in their auditorium. When my younger brother was transferred there for work, FABC also threw their arms open wide to him. He attended that wonderful, warm church until he was transferred again several years later. New Orleans is second in my heart only to Houston. I’m not sure I can explain exactly why. I’ve had a complex relationship with it. But that’s just it. I’m somehow rarely drawn to simple relationships. And that is just the kind of relationships you’ll find in The Undoing of Saint Silvanus. The investigation into Jillian’s father’s death quickly unfolds, and she is drawn into the lives of the colorful collection of saints and sinners who pass through Saint Silvanus. As Jillian walks into a web of spiritual and personal danger borne out of her family’s broken history, she finds that only God himself can orchestrate the undoing of all that is going on at Saint Silvanus. You can purchase Beth’s book, The Undoing of Saint Silvanus, here. 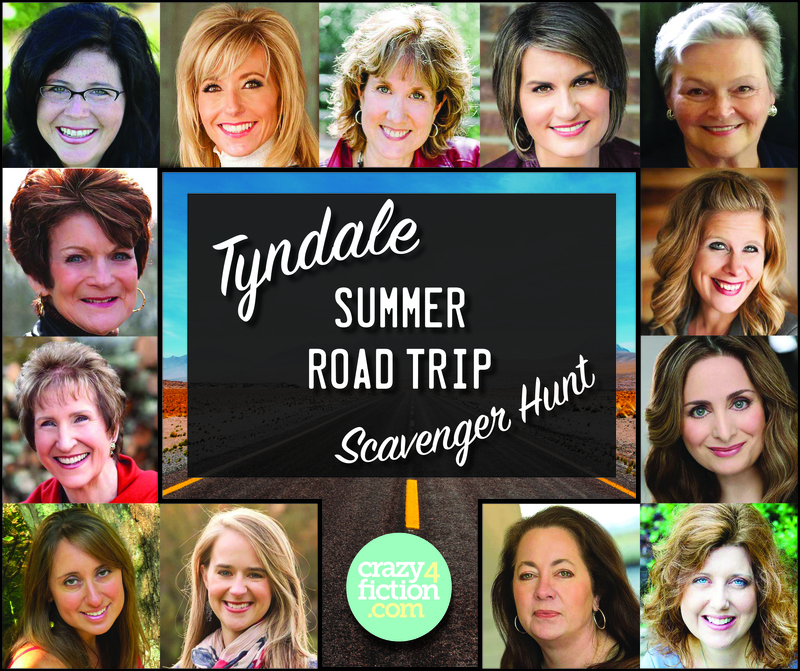 Here’s the link to Stop #13, the next stop in the scavenger hunt: hosted by Beth Moore on Crazy4Fiction! Before you leave–a chance for another prize! Be sure to leave a comment here on Amy’s blog for a chance to win this small prize pack from Amy! The winner will receive a signed copy of Before I Saw You, and a farmhouse-style wooden arrow that can be hung on a wall or added anywhere you’d like in your home. Winner of this prize will be drawn at random the same day as the Grand Prize winner, August 14. On Christmas and new beginnings and new books–a cover reveal for you all! I thought writing novels would get easier. But the beautiful thing about hard is that hard brings forth beauty. Perseverance really does build character. Trusting the Lord, even when it’s for every. single. word. I type onto a page really does prove His faithfulness. And even in the hard, it is my greatest privilege to write words for the Lord and His glory. Of all my novels to date, this one is the absolute result of faith. I wanted to give up. My kind, gracious, and amazing editors–though they never said so–must have wanted to give up. But little did we know that it was in the refining and the pressing on that this story finally came to life. The title: Before I Saw You. Publication date is several months off, but Before I Saw You is already showing up on bookstore web sites, so I wanted to be sure to offer you, as some of my most faithful readers, a first glimpse here. I have so much to tell you over the next few months about everything that went in to the development and inspiration behind this novel. But for now, I just want to thank anyone who prayed for me over the last couple of years as I’ve been writing it. I’ve been even more of a hermit and introvert than I already was, some of it because of the writing process, some of it because I’ve simultaneously been struggling with the PTSD/depression I’ve battled most my life, some of it because I’ve also been launching my sons into college and empty nesting is taking a lot more out of me than I ever anticipated. (I read a lovely article just today about Peanuts creator Charles Schulz that I especially resonated with, and that says, “For his part, Schulz was aware that his inner gloom was also the source of his outward light.”) So please forgive me if I have not been present enough, either in the cyber world or if I know you in real life. The good news is that our God is a God of grace and love, and there is a time and season for everything under heaven…even for hermit-like writers like me. The good news is that with our God, there is always an opportunity for a new beginning. And this new story, like my other novels, ultimately demonstrates just that. Folks are dying fast as the ash trees in the southern Indiana town ravaged by the heroin epidemic, where Jaycee Givens lives with nothing more than a thread of hope and a quirky neighbor, Sudie, who rescues injured wildlife. After a tragedy leaves her mother in prison, Jaycee is carrying grief and an unplanned pregnancy she conceals because she trusts no one, including the kind and handsome Gabe, who is new to town and to the local diner where she works. Dividing her time between the diner and Sudie’s place, Jaycee nurses her broken heart among a collection of unlikely friends who are the closest thing to family that she has. Eventually, she realizes she can’t hide her pregnancy any longer—not even from the baby’s abusive father, who is furious when he finds out. The choices she must make for the safety of her unborn child threaten to derail any chance she ever had for hope and redemption. Ultimately, Jaycee must decide whether the truest form of love means hanging on or letting go. Stay tuned here and sign up for my newsletter for first line and insider information as the publication date draws near. I’m so grateful for each of you! Praying a joyful, peaceful, and blessed Christmas season for you all. On writing: What I could write and why I don’t. For as long as I can remember, I could write. And not just write, but write well. When I decided to write books for publication, I surprised some folks. I’ve fielded countless other similar questions since then. Still, my novels (with all gratefulness and glory to Him) sell well enough that I have a fourth one coming out in 2018, and a re-release of the said sexual abuse story in less than two months, September 1 to be exact. The people who asked those questions above were right. Kind of. To be sure, my novels are meant to entertain. Each has threads of romance, intrigue, and even a little mystery in them. But those things aren’t ultimately what propels the characters, or me to write them. Nevertheless, if a lifetime of Bible stories have taught me anything, it’s this: Most people won’t understand the work of someone who is listening to or following the Lord. That doesn’t stop me from struggling with what I feel called to write. It’s downright scary to put stories out there I know are going to ruffle some feathers. there wasn’t much to you in the first place. don’t hesitate to step in and help. will that get you off the hook? How Sweet the Sound was born. How Sweet the Sound is an unlikely novel about an unlikely family in Southern Alabama torn apart by the same fate I suffered. 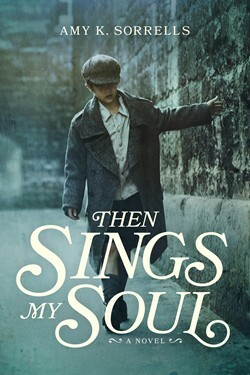 I wrote and wrote and re-wrote and re-wrote, until not only did I have a book about it, but I had a book of hope. And that’s the key to my stories right there. I wrote a book of hard and a book of hope. Whether or not it ever makes a best-seller list makes no difference, especially in light of Proverbs 24:10-12. What they thank me for is not a book as much as for the hope the characters in that story found in the midst of their perishing circumstances. Each one of my books is like that. How Sweet the Sound is about not turning my head to and finding hope in the midst of sexual abuse. Then Sings My Soul is about not turning my head to the plight of the aging and elderly. 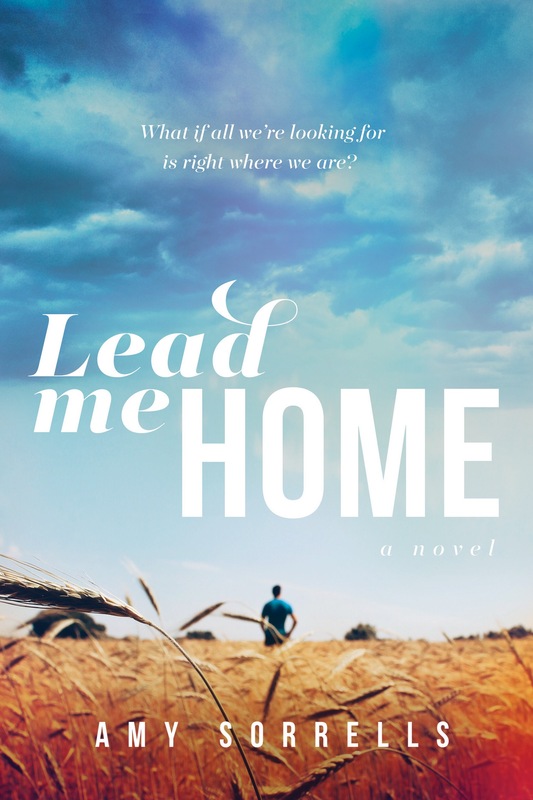 Lead Me Home is about not turning my head to the plight of small churches and small communities and overlooked people in our midst. And my fourth book (title TBD), releasing in 2018, is about not turning my head to the plight of the unborn, the plight of birth mothers, and the plight of those in the midst of the opiod epidemic that’s happening right smack in the middle of each of our back yards. 1) People turn their heads to them. 2) They’re all desperate for hope in the midst of perishing situations. Because when you’ve got nothing, hope means everything. Could there be any greater reason to write–or to read, for that matter–than that? Hope in the midst of struggle. In the midst of terror. In the midst of grief. In the midst of abuse. In the midst of even death. If one person picks up one of my books and finds that, well then I’ve done my job. I’ve seen a lot of bitter cruelty first hand, whether personally, or in the eyes of friends in Ukraine where abortion is seen as simple birth control, or on the faces of an aging hospital patient who never has visitors, or at the bedside or graveside of someone riddled by the effects of an opiate addiction. But in and because of all of that, my faith is refired forever. The perishing are my business. Therefore my writing will never be off the hook. Stay tuned for details about my novel, How Sweet the Sound, releasing September 1 with a brand new cover and a chapter from my brand new 2018 novel.